Pebble Stationery Co. Pocket Notebook Review. Pebble Stationery Co. sent me a pack of their pocket notebooks to play with and review on the blog. All thoughts shared in this post are my own. 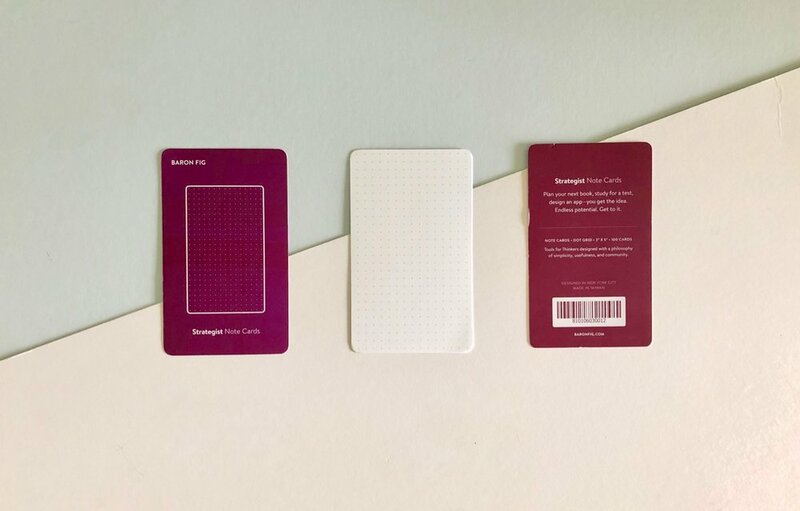 The Pebble Stationery Co notebook is 3.5 x 5.5”, (think Field Notes in size). 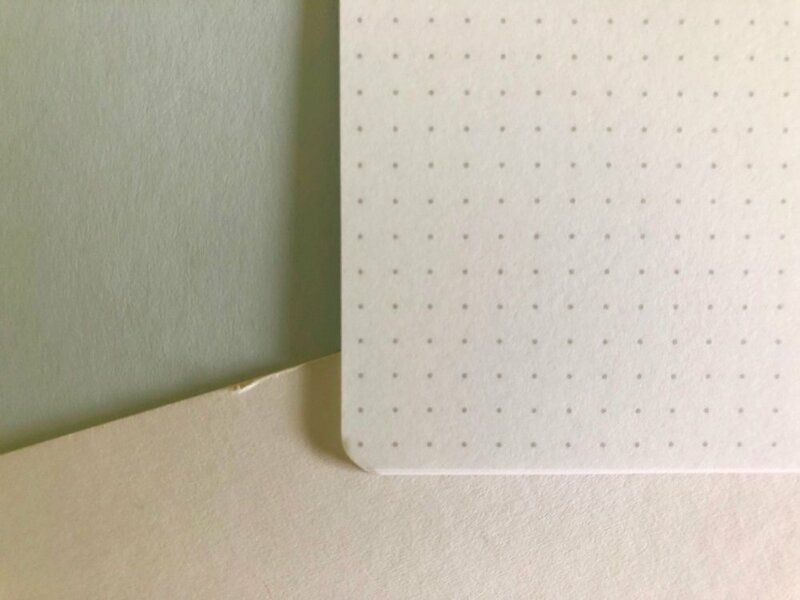 There are two notebooks in a pack with 52 GSM white, dot grid, tomoe river paper. To protect the thin contents the Pebble Notebook has a thick grey textured cover with an embossed, and a little large, bit of branding in the bottom right corner of the notebook. The inside cover is a fresh blue colour with space for personal information, should you wish to fill this in. I always like this feature in notebooks. 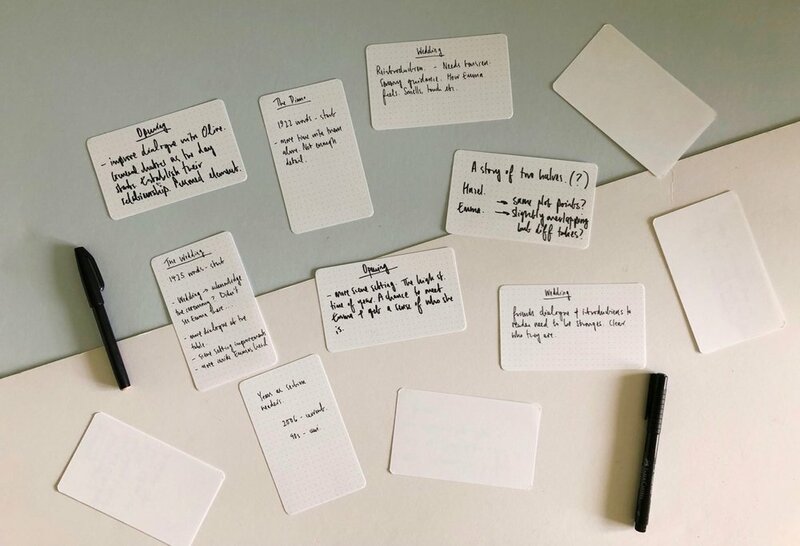 Not only is there a fail safe if I misplace one, but it helps me keep track of my notebooks and their contents should I need to reference them in the future. On the inside back cover there is some information on Pebble Stationery Co.
As the paper is the super dreamy tomoe river paper you get 80 pages in a very slim profile notebook. The dot grid is subtle with a small light grey dot. On the right hand edge there does appear to be one dot missing in the sequence. This could be a quirk specific to this print run but it did catch my eye. And finally the corners of the notebook are rounded off nicely which helps with the wear of the notebook. There aren’t any damaged corners here. Part of tomoe river papers charm is the fact that it handles fountain pens so well and is really thin. As expected the paper in the Pebble notebook takes ink well. The nib or rollerball glides over the page giving you a really nice writing experience. Pencils and tomoe river paper aren’t a natural fit. They work fine but the enjoyment level is lower. One small thing I found with the Pebble notebook is the ghosting is quite prominent. It feels more prevalent than other tomoe river notebooks I have used in the past. Inspired by Fran Meneses YouTube videos I recently started working my way through the Rolling Stones 500 Greatest Albums of All Time and I have been tracking each album I’ve listened to, and if I liked it in my Pebble notebook. I have purposefully used different writing tools to test out the paper and the ghosting with everything other than a pencil was obvious. It is nice to see more pocket notebook options available in the market. 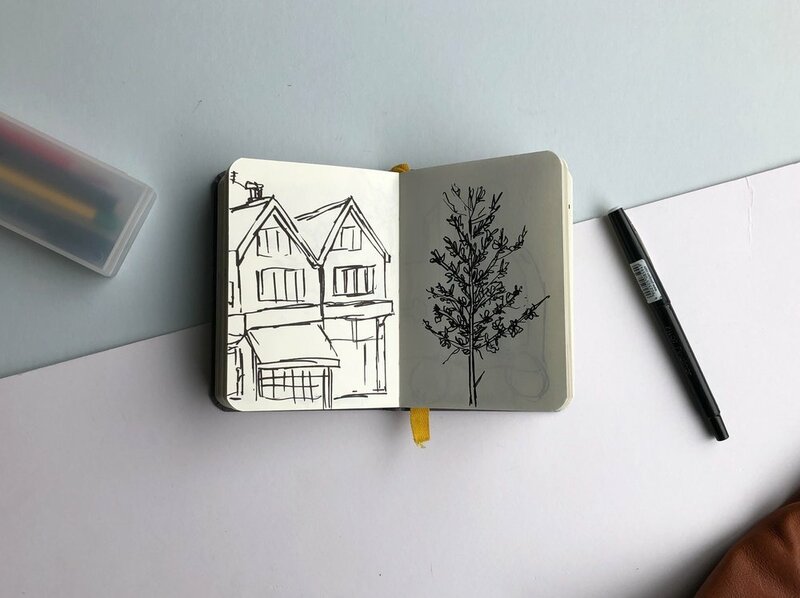 It has felt like there is a gap when it comes to high quality papers that work with fountain pens in a pocket notebook format so it’s great to see Pebble Notebooks solving that problem. The design and style is really simple and makes it feel like a classic notebook. Thank you Pebble Stationery Co. for sending me these notebooks to use. 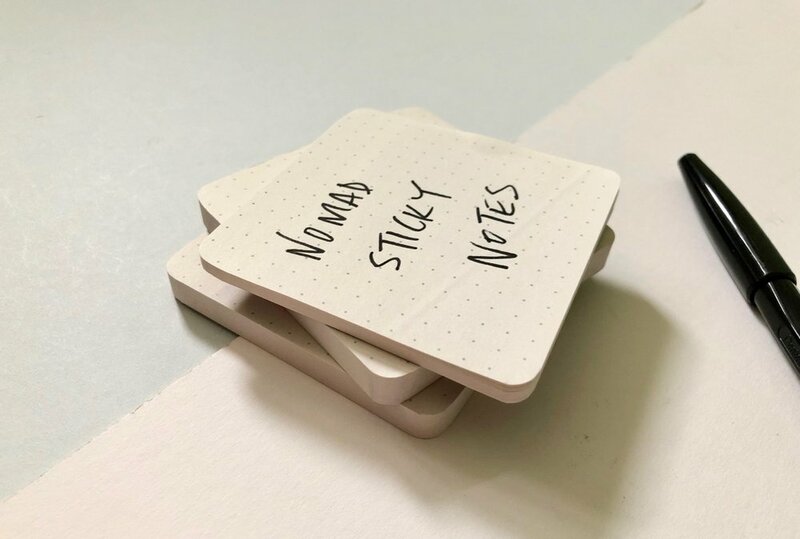 Mid-Week Mini: Baron Fig Nomad Sticky Notes Review. The Nomad sticky notes are Baron Figs stylised version of the 3M yellow sticky note. 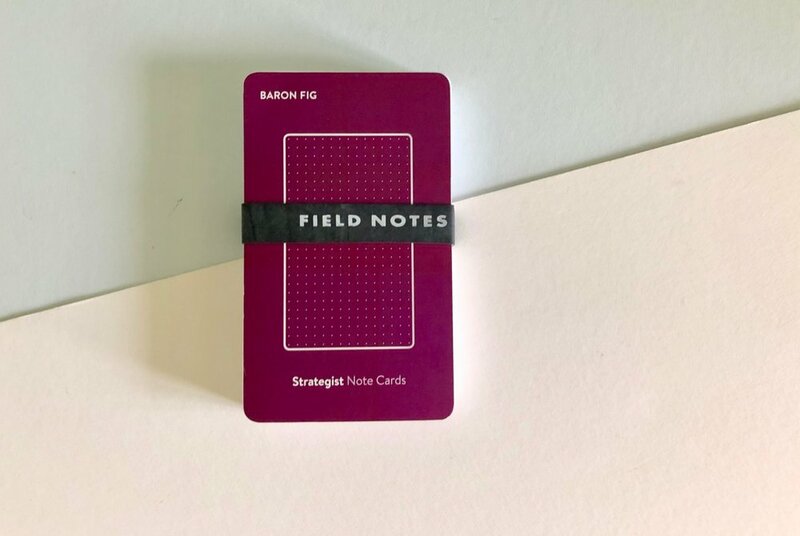 Baron Fig took the sticky note and added their spin to it. The Nomad’s a 3 inch by 3 inch in size and they come in a 3-pack which is really useful as you can dot these around in places you need them. 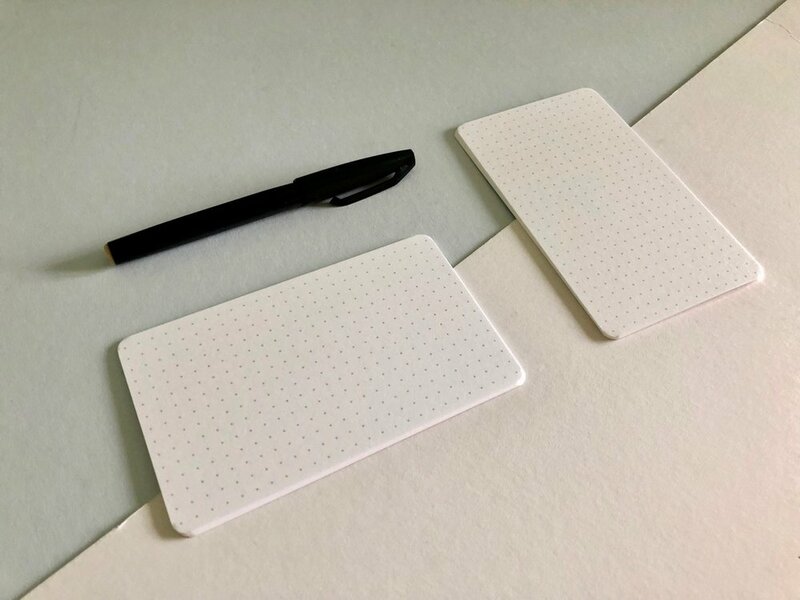 They are the Baron Fig off-white colour with their dot grid print. 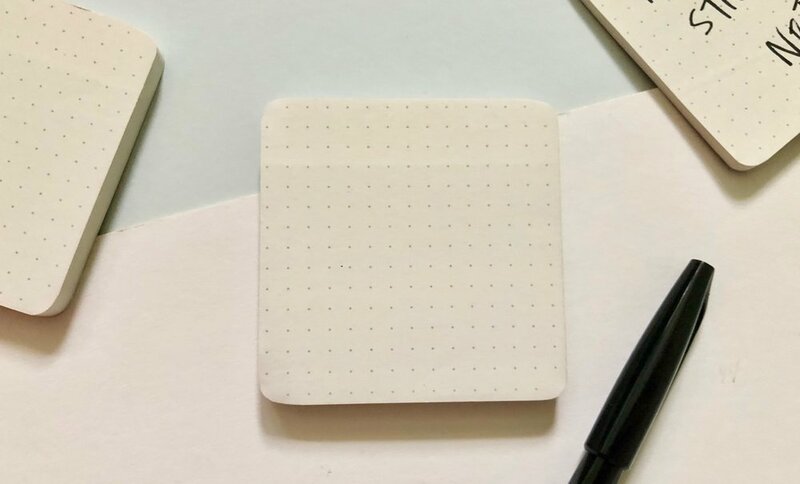 A dot grid sticky note is not something I have seen anywhere else and really useful. 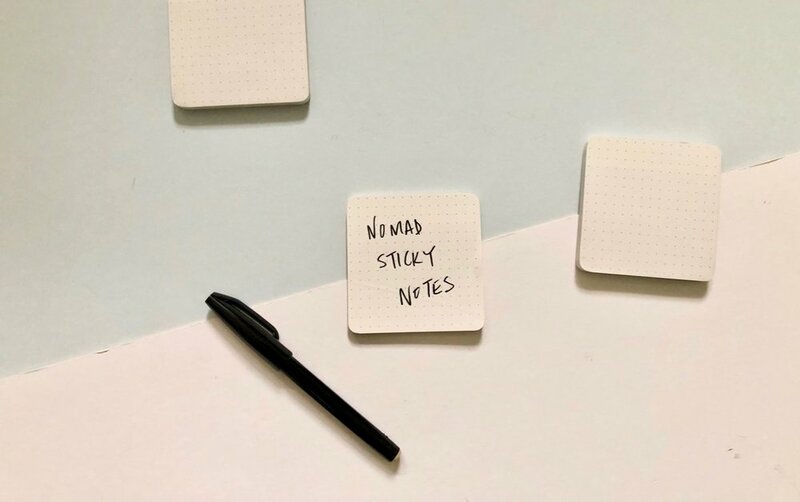 The Nomad sticky notes also have rounded off corners, which means no bumped or curled edges and basically keeps the neat among us a little happier. 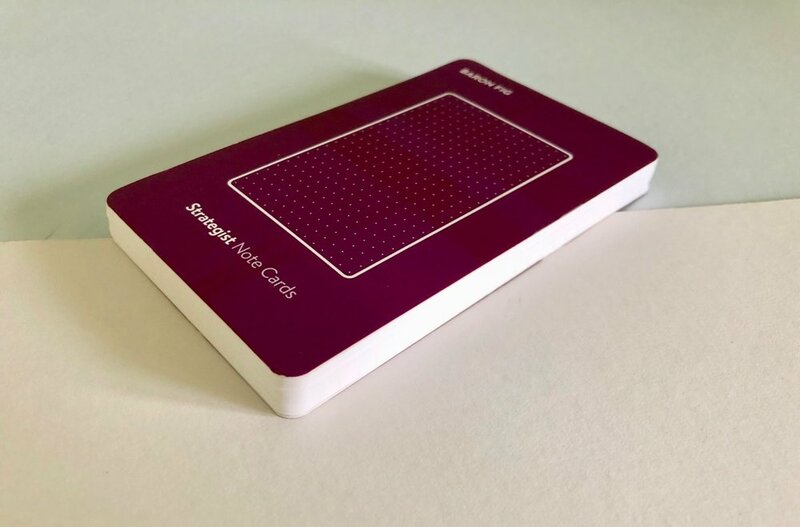 The make-up of the Nomad sticky note is very similar to the Strategist note cards, only smaller and with a sticky backing. The big issue I have with the Nomad sticky notes, is their stickiness. Try and stick a few to your desk, mine is wooden, and quickly they curl at the edges. Try and add these into a notebook and they often fall away from the page when you re-open it. For photography purposes I stuck this onto the wall of my office and you can see the beginnings of the curl. Sticky notes are always useful but unfortunately in my experience the Nomad falls down on the very premise of their existence. These would be great sticky notes if they were more sticky.